Dave Gibbons and Charles Cecil reunite for mysterious new project. Dave Gibbons, artist of the influential graphic novel Watchmen, has revealed that he intends to reunite with Broken Sword developer Revolution Software to create a new adventure game. The comic artist, whose previous work with Revolution yielded cult classic Beneath a Steel Sky, as well as the Broken Sword: Director's Cut remake, will have a heavy involvement with the overall direction of the game, guiding story and art direction alike. 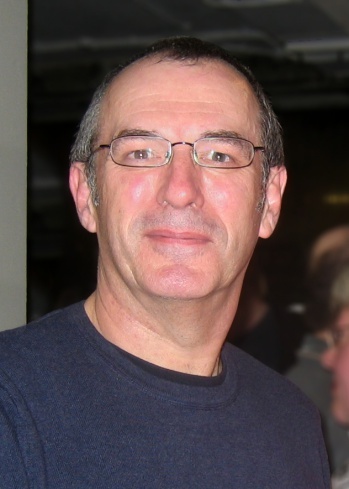 In an interview with Eurogamer, Gibbons stated that the new collaboration will very closely follow his characteristic style and use of symbolism, leaving no doubt in his mind that it will indeed "look like a Dave Gibbons game". The setting will apparently tread new ground, leaving the familiar Parisian catacombs of Broken Sword behind for something that "hasn't been explored". He refused to give any further details on the upcoming project, stating, "if you talk about [ideas] too early you kill them, you let the air out of the balloon." Although they're both itching to get started with development, Gibbons and Cecil each have their hands tied with other projects at the moment. Gibbons is currently working with Wanted writer Mark Millar on the ongoing comic book series The Secret Service, whilst Cecil is busy with an as-of-yet unannounced Broken Sword title. While there's been no indication as to what platform the planned game will be released on, Revolution's past success with mobile gaming suggests phones and tablets as a major possibility.